Our clinical team provides a range of clinical services to youth both through our work here at the Center as well as in partnership with Hall Mercer Community Mental Health. Our team is dedicated to improving the lives and well-being of youth in need of mental health services. All clinical services we provide are guided by the most recent scientific understanding of the needs of mental health consumers and their families. Our evidence-based clinical services address a range of psychiatric and developmental concerns and include the following programs. In addition, our group provides clinical services through our research grants and contracts. These services include observation and consultation to providers about their use of a range of evidence-based practices for youth in the community mental health and school systems. The PATCH program provides evidence-based assessment and treatment for youth ages 5-18 with anxiety and related disorders at Hall Mercer Community Mental Health. PATCH therapists are trained in cognitive-behavioral therapy (CBT), the most proven effective psychotherapy for these disorders. CBT involves a partnership between the therapist and family and helps children learn to modify their thoughts and behaviors so that anxiety no longer has control over their lives. We treat a range of presenting concerns, including generalized anxiety, separation anxiety, social anxiety, specific phobia, school anxiety, panic attacks, selective mutism, obsessive-compulsive disorder, and trichotillomania. Typically, treatment takes place approximately one hour per week. The program is available for private-pay and also to children eligible for Medicaid reimbursed services. The PATCH program is currently accepting new children and adolescents. If you would like to schedule an appointment or learn more about the program, please contact us at 215-829-5524. 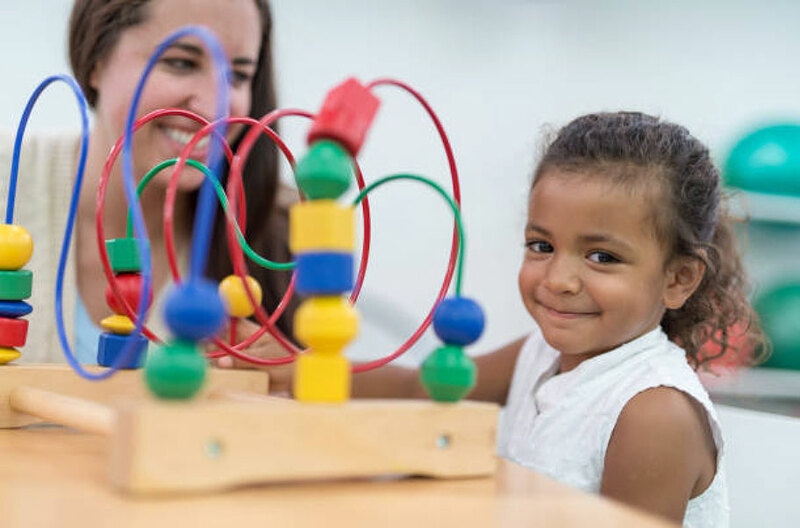 The Penn Medicine Autism Clinic serves individuals from 12 months of age through adulthood and provides initial diagnostic assessments as well as comprehensive behavioral/psychological evaluations for patients with prior autism spectrum disorder (ASD) diagnoses. Our mission is to use gold standard assessment tools, in conjunction with family-centered care, to facilitate parents’ understanding of their child’s unique developmental/behavioral profile and how that relates to the child’s intervention/educational needs. Families are then connected directly to quality, evidence-based intervention that is most appropriate for their children. The social skills program at Hall Mercer serves children with autism ages 6 to 21. Small groups facilitated by skilled staff are designed to help participants improve social skills and interact successfully with peers. Evidence based strategies from several curricula designed to teach social skills across a variety of domains are used. Participants will receive a social skills assessment to guide the development of individualized treatment goals. Parents are provided a weekly lesson overview and strategies for practicing skills at home. Children participate once per week for 12 weeks with peers their own age. This program is available for private-pay and also to children eligible for Medicaid reimbursed services. We are currently accepting new children. If you’d like more information, please contact Diana Cooney at 215-573-1911. The Early Childhood Program (ECP) provides intervention based in applied behavior analysis (ABA) to children with autism and related disorders ages 3 to 5 years old. Intervention is delivered in a small group format and develops functional and social communication skills, play skills, and participation in classroom routines and activities. This program is available to children eligible for Medicaid reimbursed services. Transportation may be available. We are currently accepting new children. If you’d like more information, please contact the ECP Coordinator, Diondra Brown at 215-829-5573 or Diondra.brown@uphs.upenn.edu.